Our garden, late planted and stalled by all the rain is really starting to produce. The squash, onions, cukes and raspberries are in high gear. The swiss chard has been wonderful and now spinach is ready for the first harvest. Our green beans are showing the first sign of blossoming while carrots nearby are showing strong tops of lush feathery green. Hot peppers are ready to pick while the rhubarb and strawberries are fading fast. The lawn is staying green and still needs mowed about every fourth day. This is good because I sure don’t want to have a day without something to do! 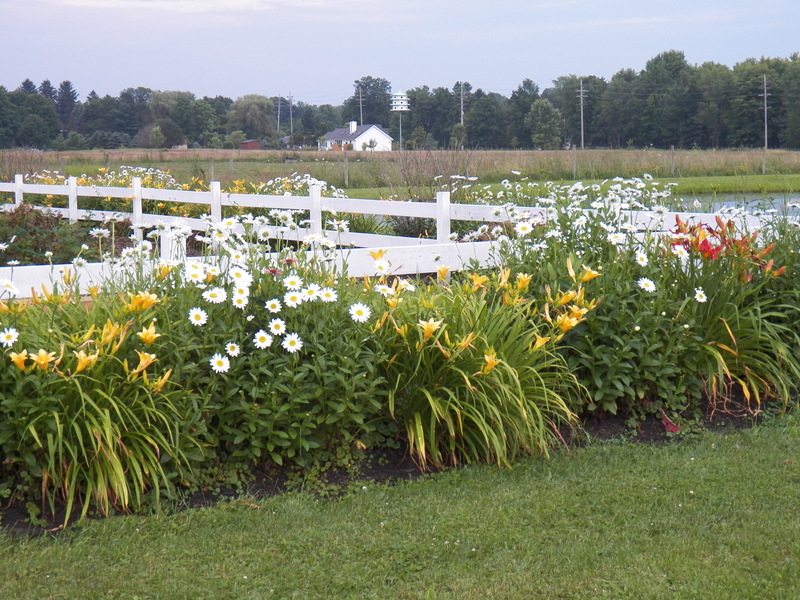 The best part of all, is that our flower beds are in full bloom. Most of our flowers are perennials. They take a while to get big and strong, but what a show they make! Growing them is a very good thing to do. Wow, your flowers are beautiful. Thank you…I know that you like gardening, so your comment is high praise.